Moscow and Tehran have now signed a contract on the supply of S-300 missile systems to Iran. The air defense units will strengthen the country’s defense capability and hamper a potential attack on its military facilities. Russia’s contract with Iran for the supply of S-300 surface-to-air missile systems has now come into effect, the head of the Russian Rostec state corporation, Sergei Chemezov, told journalists on Nov. 9 on the sidelines of an international airshow in Dubai. The signing of the contract means that the S-300 will become the first Russian weapon system to be supplied to Iran after international sanctions against Tehran are lifted. The supplies will considerably increase the “survivability” of Iranian facilities against a possible strike by Israel or the United States. “The contract has already been signed,” said Chemezov. He went on to add that once the first part of the deal to supply S-300 missile systems to Iran has been completed, Tehran will withdraw its complaint against Russia over failure to fulfil the contract. Under an agreement that Iran and Russia signed in 2007, Russia was supposed to supply five batteries of S-300 PMU-1s to Iran according to the terms of a contract estimated at $800 million. Infographics: Who buys Russian weapons? After Russia suspended the supplies in 2010, Iran filed a $4 billion lawsuit against Moscow with the international court of arbitration. 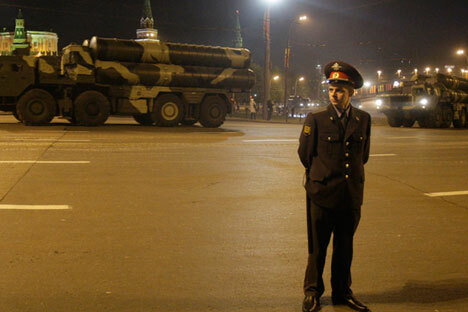 The decision to suspend the supplies was taken by the then president, Dmitry Medvedev. The Russian leadership explained that although the S-300 did not fall under the UN sanctions imposed against Iran, Moscow had decided to refrain from supplying the missile systems to Tehran in order to support the negotiations on the Iran nuclear program. At the time, sources in the Russian foreign policy circles explained that Moscow had taken into consideration the interests of Israel, which had asked it not to supply S-300s to Iran. The S-300 missile system is a powerful weapon intended to defend land targets from enemy aviation, and has a range of up to 200 miles. These missile systems have been supplied to many foreign countries, including China, Bulgaria, Venezuela, Greece. Russia now has a more advanced S-400 system, which is considerably superior to the S-300 in terms of its tactical and technical characteristics. Interestingly, having suspended the S-300 contract, Russia offered to supply Iran with Antey-2500 systems. The latter is a modified version of the S-300 V designed specifically for providing ground troops with air defense. However, Iran rejected the offer. Military experts point out that the S-300 systems with considerably improve Iran’s defense capability and will make an attack on the country’s military facilities quite problematic. Despite the fact that Iran has been able to negotiate the removal of a considerable number of sanctions against it in exchange for international control over its nuclear facilities, an attack against it can still not be ruled out. Israel, one of Iran’s main opponents in the region, earlier announced that it reserved the right to resort to military action against Iran, while Saudi Arabia is another important opponent for Tehran in the region, as the two countries are competing for influence over Syria. The influential international publication IHS Jane’s Defence Weekly points out that the S-300 can be effectively used against Israeli and U.S. aircraft. “S-300 supplies put a potential U.S. or Israeli attack on Iranian nuclear facilities at great risk, and undermine its potential effectiveness,” it wrote in April this year. According to Alexander Perendzhiyev, a leading expert with the Association of Military Analysts, the possession of S-300 missile systems will “considerably increase the survivability” of Iranian facilities against an Israeli or U.S. air strike.